REMO Recover (Windows) Pro Edition can easily recover deleted or lost data from Hard Drives, External Hard Disk Drives, USB drives, SSD's in few simple steps. Free Demo Version: REMO Recover (Windows) Pro Edition is available for free trial usage. You can download, install and use it, to check out all the features. RAW Hard Drive Recovery: You can recover files from hard drives that are corrupt, damaged or inaccessible due to some reason. Recover Deleted Drive: Allows you to recover files from drive and volume that is deleted. File Recovery from Dead Hard Drive: Requires no additional functionalities to recover files from hard drive that is dead or doesn’t boot. Formatted Hard Drive Recovery: REMO Recover (Windows) Pro Edition can be used to recover files from hard drive that is formatted or reformatted. Great GUI: Provides an easy to use interface to recover all the files in a robust way. At every steps of the utility, required guidelines are mentioned. 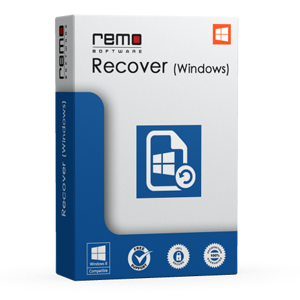 Free Customer Support: REMO Recover (Windows) Pro Edition software comes with 24x7 support. Its support team will guide and resolve all your quires in order to provide you an excellent result. Safe and Secure: This software is 100% safe and secure for usage. It doesn’t modifies any of your personal or system files in any way. Supported Operating Systems: It can be comfortably used on different Windows operating systems. Download & Try it for "FREE"
It functions flawlessly on both internal and external hard drives with same ease. Remo Hard Drive Recovery software recovers 300 different file types. Allows you to save disk space by compressing files before actually storing them. This software allows recovery of files from different brands of hard drives with same ease. Assits you to recover files from hard drive that is either dead or inaccessible. REMO Recover (Windows) Pro Edition software uses its smart scanning algorithm to restore all your lost or erased files from hard drive in few clicks. All the recovered files from hard disk drive can be previewed before it is actually saved on your preferred storage device. However, to save restored files you need to upgrade to premium version for $99.97.